2/F Printing House, 6 Duddell St/18 Ice House St. 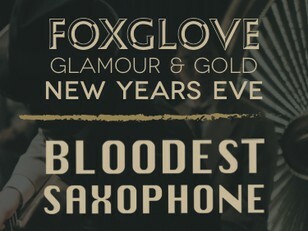 This New Year’s Eve, celebrate Japanese style with our live band, Bloodest Saxophone. 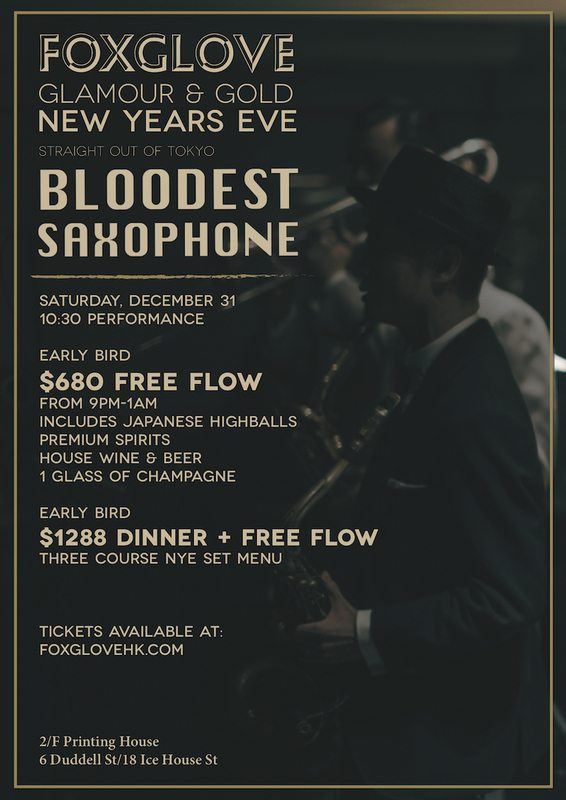 This old school jazz crew is flying in all the way from Tokyo to help us ring in the New Year in style at Foxglove. New Years Eve, come enjoy a delicious, three-course French Bistro dinner set, and FREE FLOW that includes Japanese highball selections, premium spirits, house wines and beer, PLUS one free glass of champagne at countdown. The Bloodest Saxophone hits the stage at 10:30PM and will be rockin' all night long. If you have a whole gang coming out for the evening, we are offering 1 complimentary bottle of champagne for tables of 6 and up, and 2 complimentary bottles for tables of 10 and up. So bring all of your friends, and come thirsty!